Author: Fleeson, Lucinda Set In . 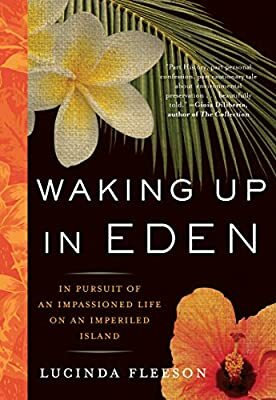 . .
A woman journeys to Kauai to save Hawaii’s native plants: “Part history, part personal confession, part cautionary tale about environmental preservation” (Gioia Diliberto, author of Paris Without End). One day, Lucinda Fleeson quit her big-city newspaper job, sold her suburban house, and moved halfway across the world to the island of Kauai to work at the National Tropical Botanical Garden. Imagine a hundred-acre garden estate nestled amid ocean cliffs, rain forests, and secluded coves. Exotic and beautiful, yes, but as Fleeson awakens to this sensual world, exploring the island’s food, beaches, and history, she encounters an endangered paradise—the Hawaii not shown in the tourist brochures. Native plants are dying at an astonishing rate—Hawaii is called the Extinction Capital of the World—and invasive species (plants, animals, and humans) have imperiled this Garden of Eden. Fleeson accompanies a plant hunter into the rain forest to find the last of a dying species, descends into limestone caves with a paleontologist who deconstructs island history through fossil life, and shadows a botanical pioneer who propagates rare seeds, hoping to reclaim the landscape. Her grown-up adventure is a reminder of the value of choosing passion over security, individuality over convention, and the pressing need to protect the earth. And as she witnesses the island’s plant renewal efforts, she sees her own life blossom again.